The Zoning & Platting Commission public meeting is scheduled for May 3 May 17 at 6 PM at Austin City Hall, Cesar Chavez and South 1st St, Austin, TX 78701 (map). It has been rescheduled from May 3. Once the Z&P decides, the case goes to the City Council. The Council decides to grant or deny the rezoning. The earliest Council meeting where the case may be heard is mid June; we will update with details when we have them. Even if the Zoning & Platting Commissioners vote against the rezoning, it goes to the City Council; with a negative vote from Zoning & Platting, the City Council must pass by 75% vote rather than a simple majority. We need EVERYONE to attend on May 17 and show opposition to the rezoning! You can simply be there to show opposition, sign up to speak for 3 minutes if you wish or sign up and donate your 3 minutes to another speaker. We will be in the lobby with tree tags to identify everyone who is attending to oppose the rezoning. If you are unable to attend (and even if you are), please contact Sherri Sirwaitis of the Planning & Zoning Department. She can be reached by email or phone. Her email is sherri.sirwaitis@austintexas.gov and phone number is 512-974-3057. Please refer to Case # C14-2016-0023.SH. A speaker may donate time to another speaker if he or she is present when the speaker begins to address the Commission. No speaker can testify for over fifteen (15) minutes without the consent of the Commission. The names of anyone opposing the request who did not sign in to speak are read into the record. A vote is taken to close the public hearing and no further testimony is taken from the public. Speaking times in any of the above instances may be extended by the Chair without objection of the Commission. The officers and Zoning Committee chair will speak and would appreciate others signing up to speak and donating their time; if you wish to speak; be sure to sign in. Please email northwoodna@gmail.com if you are attending and willing to donate time to a speaker. City Hall is between Guadalupe and Lavaca. There is parking under City Hall, the entrance is on the west side (Guadalupe) which can be validated by a City staff member. 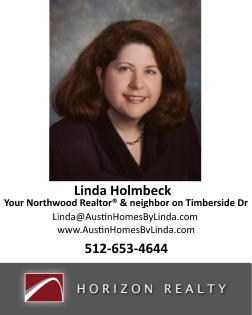 if you are need a ride or are driving from Northwood and can carry neighbors, please call our carpool coordinator Lynn, 512.341-8989. (Provide your name, phone number and address and if you are driving or need a ride) Another option: comment on NextDoor under the Zoning hearing carpooling post. Include if you need a ride or are driving (allow at least 45-60 minutes to reach City Hall from Northwood). Tip: to find that post again, bookmark it. To show your bookmarked posts, click the dropdown by your name in the top right corner.